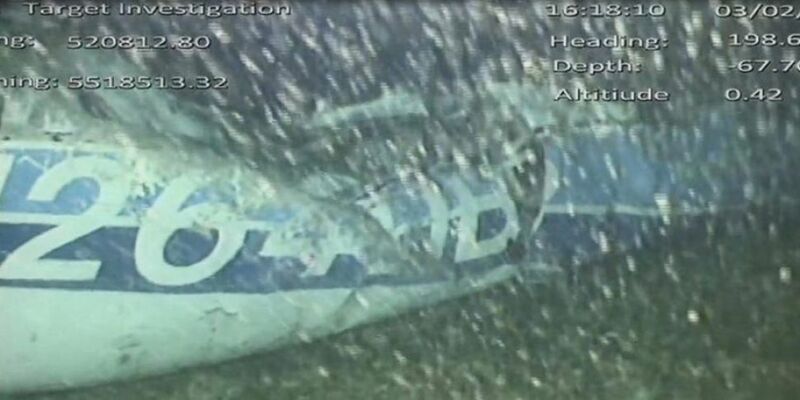 Authorities searching for Cardiff City footballer Emiliano Sala have found a body in the wreckage of his missing plane. Air accident investigators confirmed on Monday that remains were visible in footage captured at the crash site. It is not clear at this stage whether the body discovered is that of Sala or pilot David Ibbotson. The Cardiff City footballer has been missing since the 21st of January. His plane disappeared from radar near the channel islands. Authorities had initially called off the search for the footballer but a private fund was started and more than €300,000 was raised. The official search and rescue operation was stood down on January 24th but David Mearns led the new search for the aircraft. He tweeted to say it was located off Guernsey yesterday. He said the wreckage was identified by sonar. A submersible with cameras was also sent underwater and was able to confirm it was the plane as the registration number was visible. "I cannot believe it. This is a dream. A bad dream. I am desperate," Mr Sala told Argentinian station Cronica TV. The plane had requested to descend before it lost contact with Jersey air traffic control. The recovery team say the plane was found mostly intact. An audio recording purported to be a whatsapp voice note recorded by Sala has been played on TV in Argentina last week. Speaking in Spanish, Sala said he was “aboard a plane that seems like it is falling to pieces." Aviation expert: "Crossing the Channel at night in bad weather is crazy"